Have you quietly wondered if there could be some magic way to improve your yoga practice….without actually doing yoga? Here’s a little secret: Sometimes, the fastest way to get to the next level in your practice is by actually trying something a little bit different. Join Denise Currie, experienced teacher and trainer (RMT, ERYT 500, YACEP) for this self-care series designed to unlock your restricted tissues and improve your body’s ability to move with comfort! Using a foam roller and yoga tune-up balls, she will teach you how to give yourself a massage that actually makes your yoga practice blossom, finally! Explore and release the muscles and soft tissues of the lower body and spine. We get into the feet, ankles, calves, thighs, hips and spine. This will make a huge difference in postures like Downward Facing Dog, forward folds of all kinds and Warrior poses. We treat the sources of foot and calf cramping, tight hips and back spasm. Learn how to treat the upper body muscles, shoulders, diaphragm, psoas, and pelvic floor! That’s right, you can treat pelvic floor dysfunction with the Tune-up balls! With regular practice you will have a major impact on your breathing mechanics, your shoulder function, low back pain and pelvic floor integrity. A series of movements and rolling techniques to help identify which muscles YOU need to focus on most and the best way to release them. A little manual of all the sequences we learned in class so you can continue the practice at home while you’re watching TV or Youtube before bed. 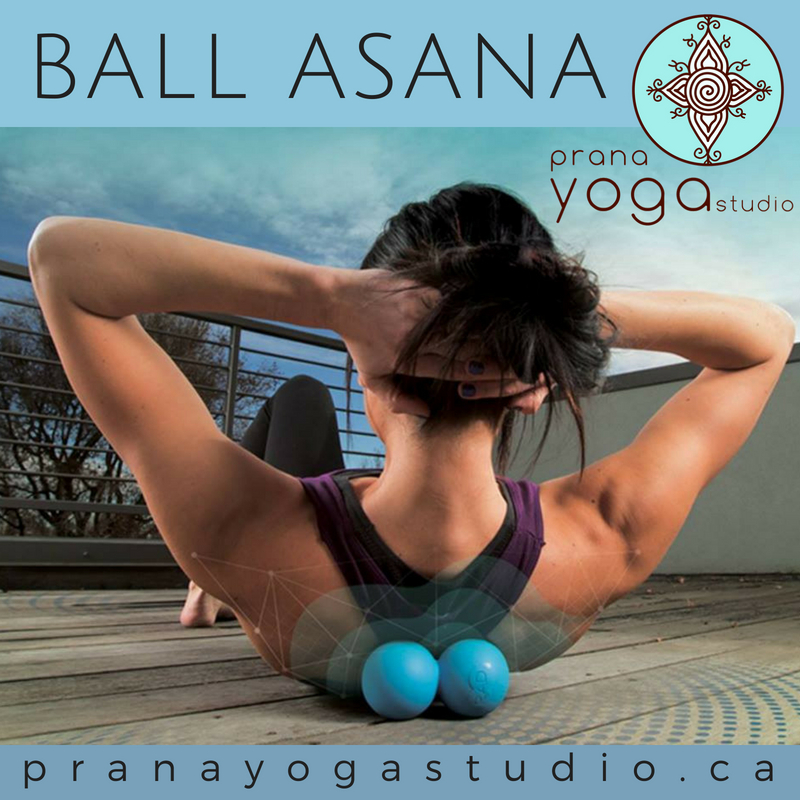 A set of your own Yoga Tune-up balls and a foam roller to keep forever! Empowerment to take your body’s health and vitality into your own capable hands! It’s a great way to wind down before bed time so you get a better sleep. Gives you practical knowledge to soothe nagging aches in the shoulder, the back or anywhere in the body without having to see a massage therapist or a chiropractor. Helps the body repair and recover after strong workouts or mentally stressful days. Improves posture and the body’s ability to access its full strength. Improves the hydration of the tissues so that they can slide and glide, giving you a feeling of freedom in your body movements. This practice is the “fountain of youth” for your tissues! Denise Currie is a massage therapist, and former master instructor of massage therapy. She is currently a lead Yoga Teacher Trainer at Prana Yoga and offers workshops specializing in anatomy and asana. Check out some of her short instructional videos on yoga alignment for free at www.facebook.com/deniseyogaco.